ATLANTA — Super Bowl week presents some odd and interesting opportunities to chat with NFL players. Take, for instance, my recent experience with Minnesota Vikings Pro Bowl wide receiver Adam Thielen, who met up with celebrity chef Kenneth Temple in order to cook some Super Bowl-themed chili for Hormel Chili’s Chili Dip Dance Contest. 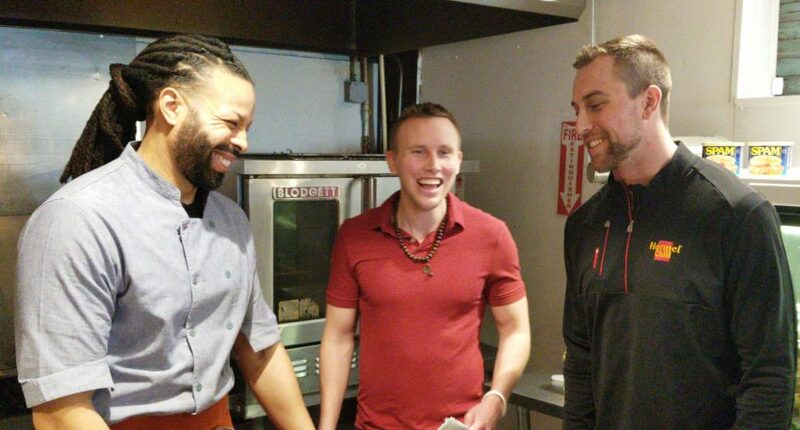 The two let me into their Hormel Chili’s remote kitchen here in Atlanta for a wide-ranging, mouth-watering conversation about football and spice. Here are a few highlights. Thielen is picking the Rams to beat the Patriots, but not because he once had it out with Bill Belichick. But his war of words with Belichick wasn’t personal. He became a star despite going undrafted, but he doesn’t think the draft process is flawed. He and Chef Kenneth love their spice.